Salesforce is the CRM or Customer Relationship Management software that is used to manage several business operations. Companies use Salesforce to manage and improve their interaction with the customers. 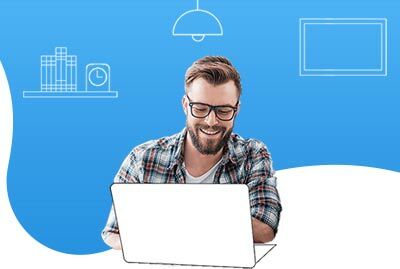 These days Salesforce is being used by the organization as the no.1 robust cloud-based CRM that is used to connect the managers, customers and workforce together. Any level business organization that may be small, medium or large can be benefited by the capabilities of Salesforce CRM. 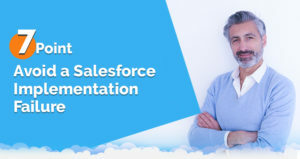 In the market, there are a few existing Salesforce users, but still many organizations are managing their operations without any CRM due to lack of awareness of Salesforce benefits. 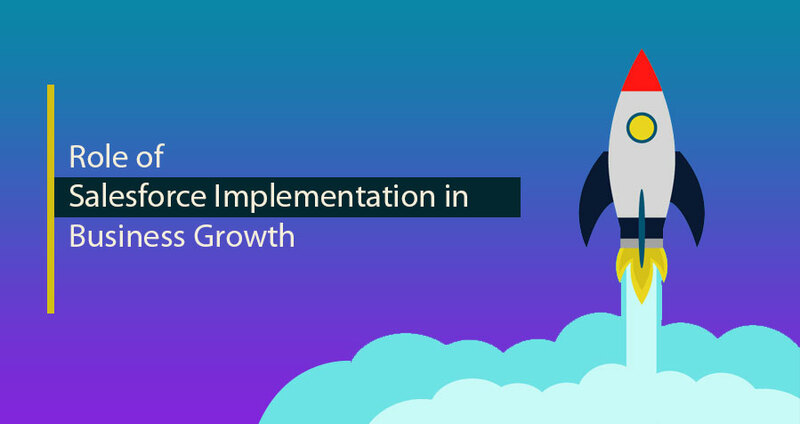 So, in this post today let’s discuss the benefits of Salesforce implementation. Salesforce is capable to keep the customer information accurate and complete. In the customer service world, the most common problem is the presence of erroneous and incomplete information. Any misleading information may create hurdles for sales and marketing representatives and may leave a bad impact on the customer. Through Salesforce the customer information is shared among various departments and as a result, anyone can easily update and correct any incorrect information. Moreover, Salesforce can auto detect such data so that the reps can correct it to make it accurate. Salesforce software can be used to understand the past and present Sales trends and the number of opportunities. One can easily predict future sales possibilities and even the sales team can precisely forecast the lead prospects that may give you clear and better insights to generate more revenues. Sales forecasting can help the Sales representatives in planning their next sales campaign. Usually, the sales team spent many hours scheduling the sales appointments, updating sales opportunities and in following and tracking the leads. Salesforce implementation can automate the majority of Sales tasks. This implementation may include the entire Sales processes from estimating the proposals and quoting them up to the older generation at greater speed. All Sales reps can get 360-degree information instantly as and when required. They can, therefore, render instant services to their customer which may include proactively informing the users about the product delivery status and increasing the value of service. Usually, the sales teams have totally sales-call sheets daily or weekly but with the help of Salesforce automation, all such activities can be easily managed. Sales managers are equipped with relevant and updated customer information and with the help of such accurate metrics in hand they can easily form the sales rep’s territories. Managers can also access all the sales activities of all Sales reps. Moreover, they can also make informed decisions quickly. As far as lead management is concerned, Salesforce can provide automated lead conversion with the help of its cloud technology. You can access SFA software through any device and from any location. Now the sales reps do not have to come back to the office to access any information. We can say that the combined power of Salesforce and business operations can easily increase your revenue and streamline the sales process. Inevitable you can generate sales quickly and in a well-planned and manner. CRM can improve the overall process of any business organization and can aid exceptional product delivery. Organizations can provide the expected service to their customers and achieve their sales goals without undue complications. Through CRM, organizations can get a defined and organized sales process that can help them in ripping business benefits without any hurdle. The term CRM or customer relationship management in itself conveys the message. One can log each of the customer information like orders, conversations and help desk request. While interacting with any customer the rep can access all of the customer information smoothly and as a result, they can just focus on customer service rather than trying to recall the customer interaction facts. Ability to organize and present the customer information in user-friendly and impressive manner allows the sales reps to manage their sales process effectively. If you are new to CRM system then you may feel like CRM system implementation is a time-consuming process. Initially it may seem like most of your time is being consumed in entering data into the CRM, however, it may prove to be a monumental time-saver in the long run. It has been observed that most of the time of Sales reps is spent in managing the customer information. Now with the help of CRM, they can easily and quickly send emails, view LinkedIn profiles and perform many other client interaction activities easily. CRM does not only empower the sales department, but also helps in creating business strategies. Salesforce CRM is capable of tracking the number of business-related tasks. Many of the business activities like inventory management, task scheduling, marketing, business forecasting, production and accounting are dependent on system information and Salesforce. All the departments of an organization including sales, marketing, inventory and purchasing are required to operate in a coordinated manner. With the help of transformative and well-planned strategy, one can easily take care of business matters. The most beneficial aspect of the CRM system is that whenever you will log into your account, it will remind you that you are here for your customer. Through personalized dashboards, even the sales and marketing reps can customize and organize their required information as well. 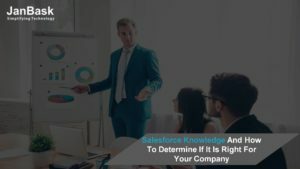 Salesforce Knowledge And How To Determine If It Is Right For Your Company? 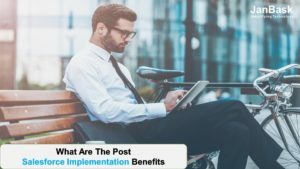 What Are The Post Salesforce Implementation Benefits?